Here is a review from MusicRadar “Round-up: 4 great low-powered tube amp heads“, it’s worth checking out the whole review at their website…good stuff. ~What really swings it is the flexibility of the ISF (from brittle to booming) and the gig-friendly option of stomping between dedicated channels, cementing the impression of an amp that’s sweet enough for the studio, but practical enough for the road. 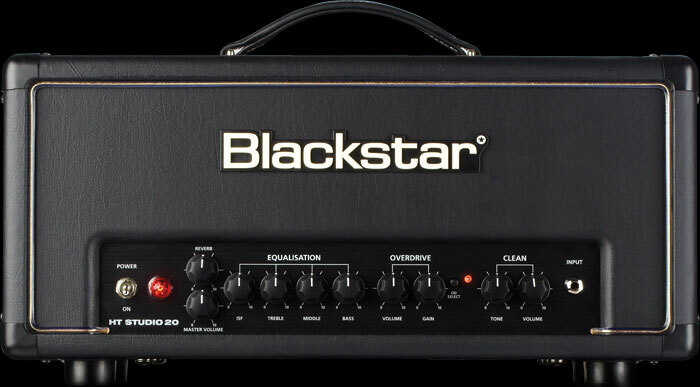 Previously regarded as plucky British upstarts, Blackstar is fast becoming the A-lister’s choice, with everyone from Opeth to The Gaslight Anthem rolling out the flagship Series One and Artisan. 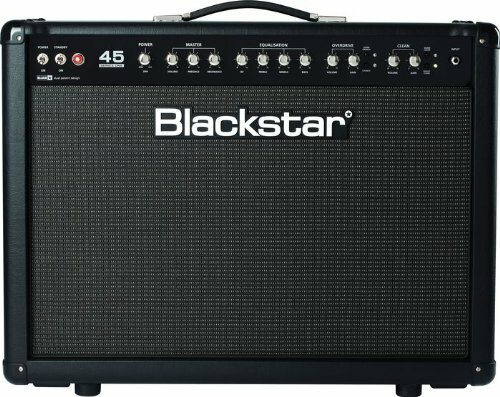 The HT Studio is less swanky, but might break the deadlock in a tough test with twin channels, EL34 valves, its tone-shaping ISF, onboard reverb and a monster 20 watts. If it had no trimmings, we’d still love the HT Studio. At 20 watts, it’s loud enough to crack the earth’s crust, but this isn’t just a racket. When you play clean, it’s got depth, body and soul; add reverb and you’ve got killer atmospherics; hit the Gain for a punishing tone with more muscle than the rivals (probably due in part to the EL34s).